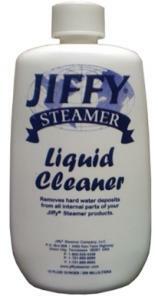 "Not Everyone Can Iron, but Anyone Can Steam! 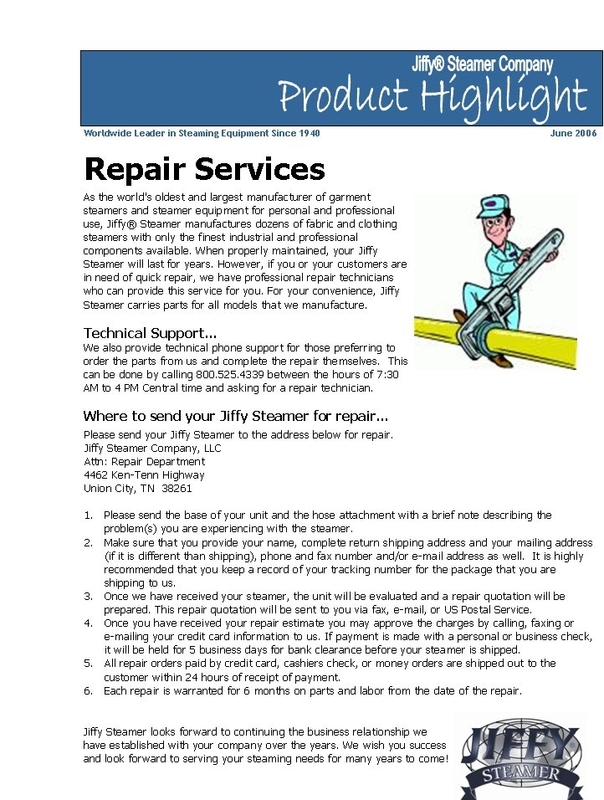 The process is easily learned and mastered" Jiffy As the world's oldest and largest manufacturer of garment steamers and steamer equipment for personal and professional use, Jiffy® Steamer manufactures over 16 fabric steamers and clothes steamer models including the popular Esteam®, with only the finest industrial and professional components available. 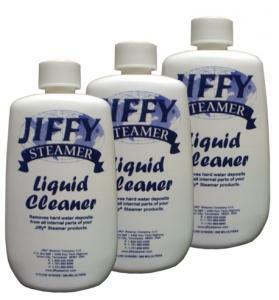 Jiffy® Steamer customers throughout the world enjoy the ease of use when steaming clothes or fabric in their home or business, simplicity of the process, and the omission of the ironing board. 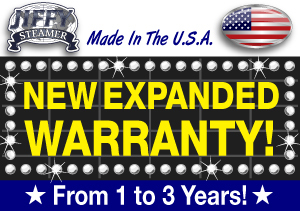 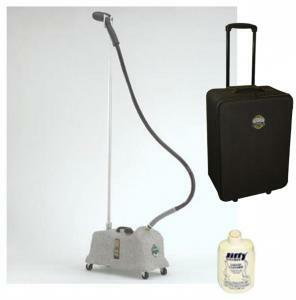 Jiffy is the only manufacturer of fabric and garment steamers in the USA, with optional plug-in configurations for all over the world. 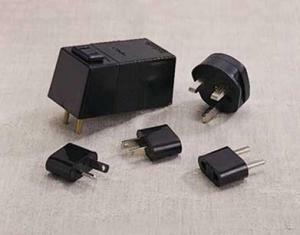 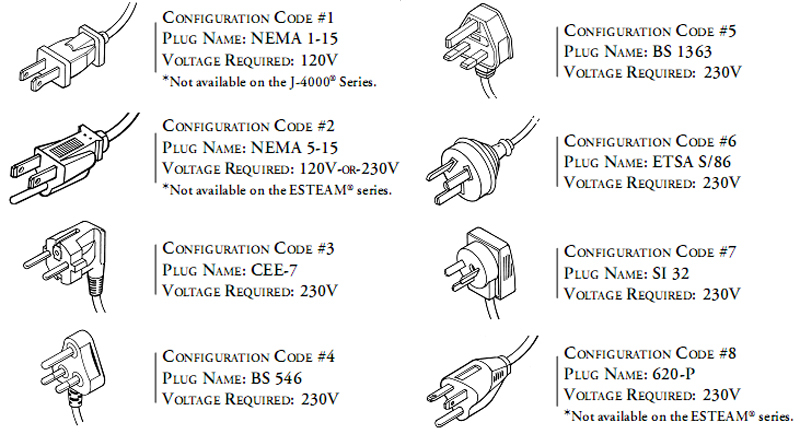 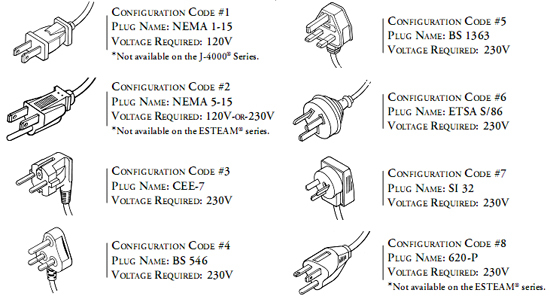 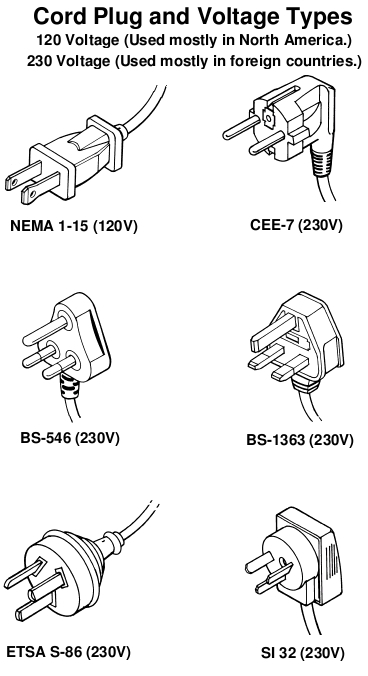 All other brands sold in the USA are for 110V only, standard flat plug-ins, and are made in China. 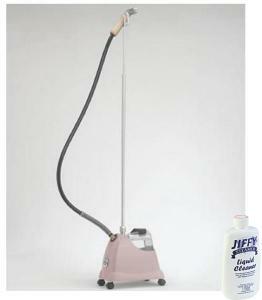 Click here to view the Jiffy steamer comparison table The Jiffy Steamer is intended to be used upright so the steam can rise out of the hose. 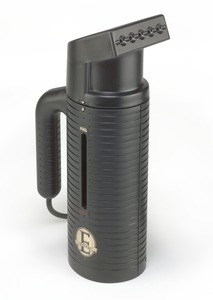 The steamer, if used horizontally will spit water out. 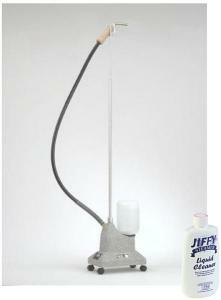 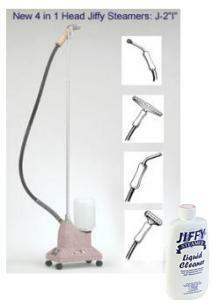 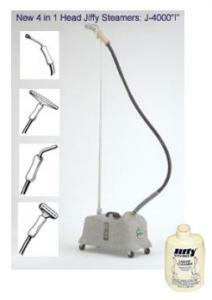 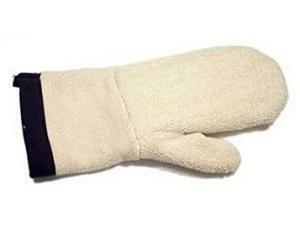 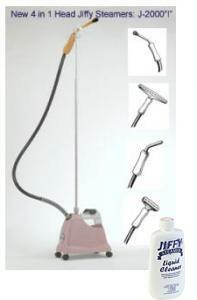 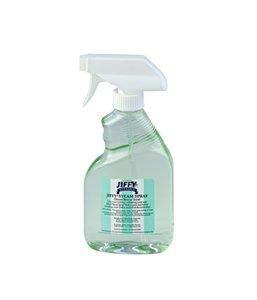 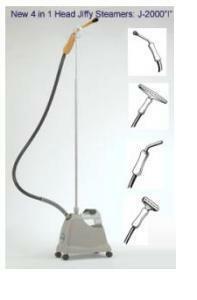 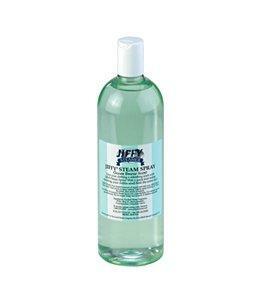 The Jiffy also provides a continuous soft flow of steam, when being used correctly. 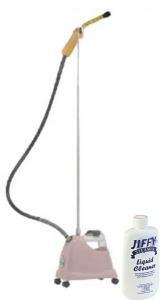 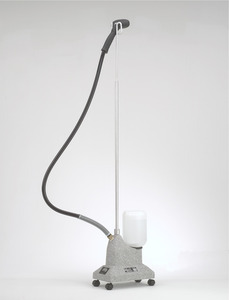 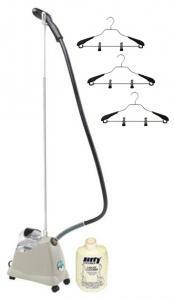 The SINGER SteamWorks Pro Garment Steamer. 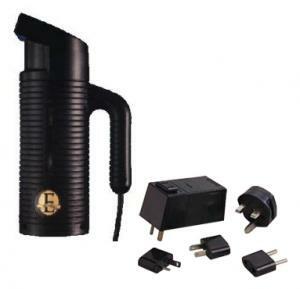 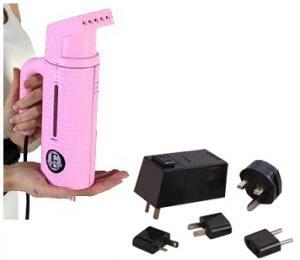 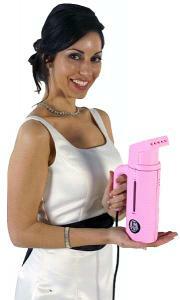 A Steam iron with 1500 Watts for hot and long-lasting steam. 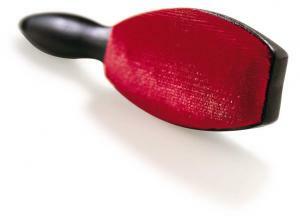 The SteamWorks Pro delivers 90 minutes of steady, gentle steam. 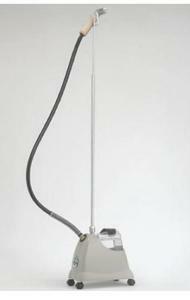 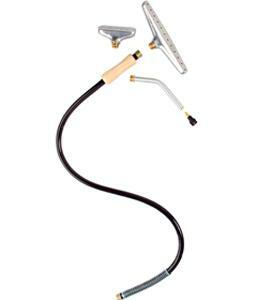 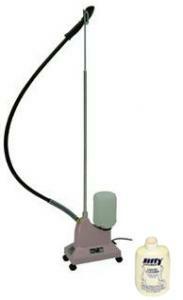 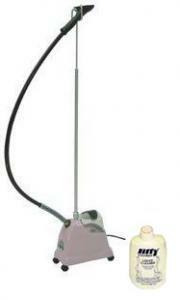 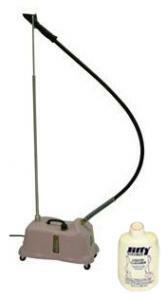 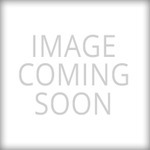 Has a telescoping pole with a versatile 360-degree rotating hanger system. 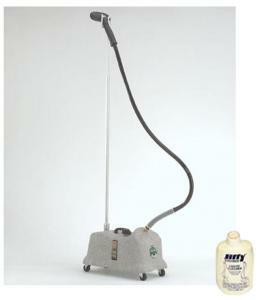 Uses very little water and doesn't saturate the garments. 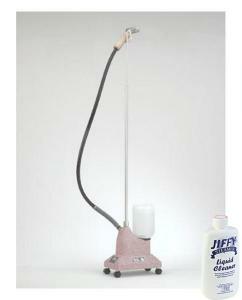 De-wrinkle & freshen a variety of fabrics from silk to wool in just 45 seconds. 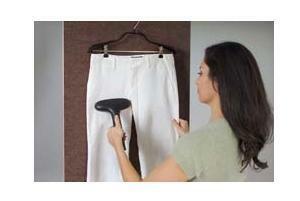 Curtains and upholstery can be freshened up quickly. 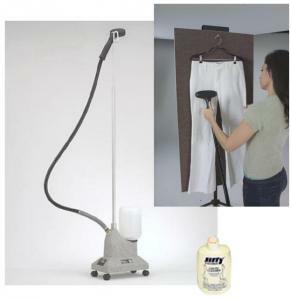 A solid product that saves you trips to the dry cleaners. 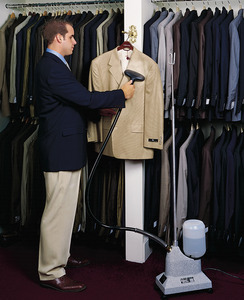 The Singer SteamWorks Pro upright steamer heats up in a mere 45 seconds & provides 90 minutes of steady steam output to remove stubborn wrinkles from even the most difficult fabrics. 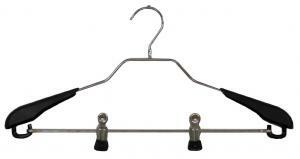 The 360° collapsible rotating hanger and adjustable telescopic pole add extra convenience for use & storage. 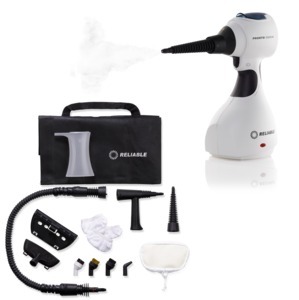 The SteamWorks Pro steamer is the perfect tool to de-wrinkle and freshen your garments, fabric bolts and more! 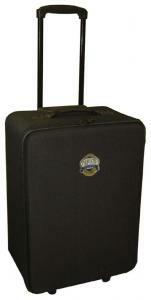 The new Pronto 100CH has arrived and is now ready to ship! 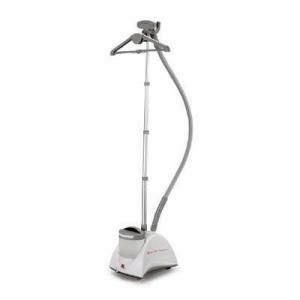 *Free $10 Reliable Aramid Fabric Steam Cover, Washable Felt, to make Enviromate Pronto 100CH P7 Steam Cleaner a Garment Steamer, for home, workrooms, clothing stores. Product dimensions: 5.5" x 6" x 12"
Shipping dimensions: 14" x 7.25" x 12.5"